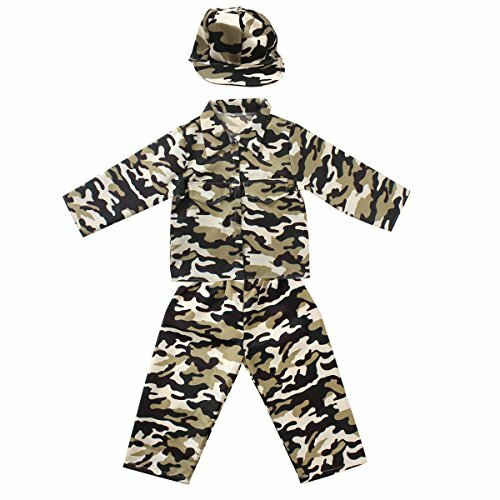 ★ Size– One size suitable for kid ages 3-6 years. This cool boys dress up trunk made of quality polyester. It’s comfortable and durable. 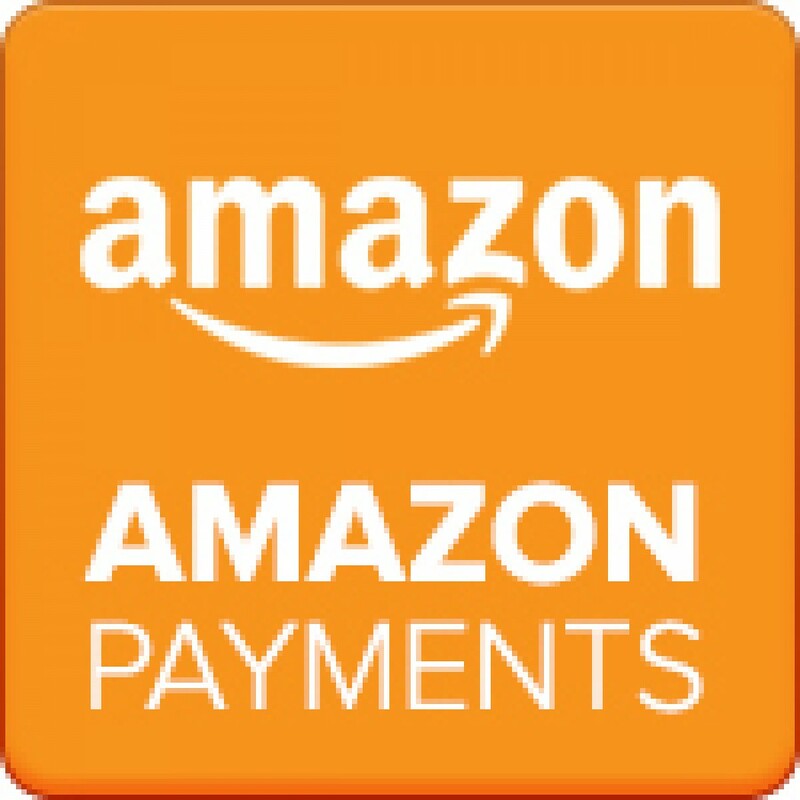 ★4 different role play costume & 14Pcs included & Perfect any theme party. 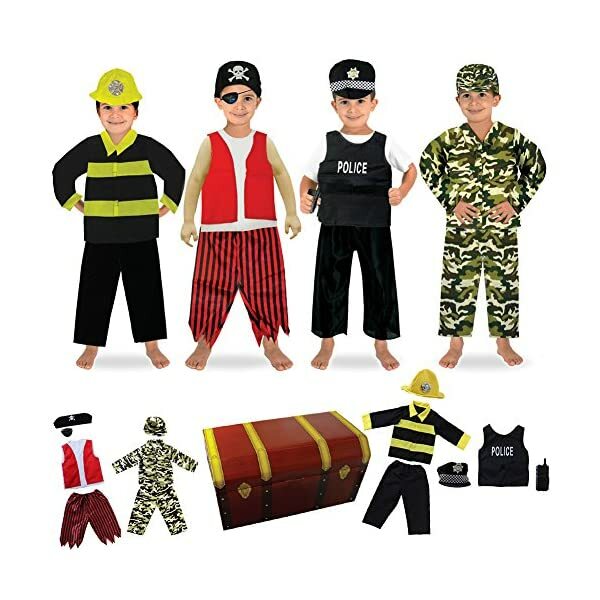 This boy dress up trunk has 4 different role play costume, 14Pcs included. 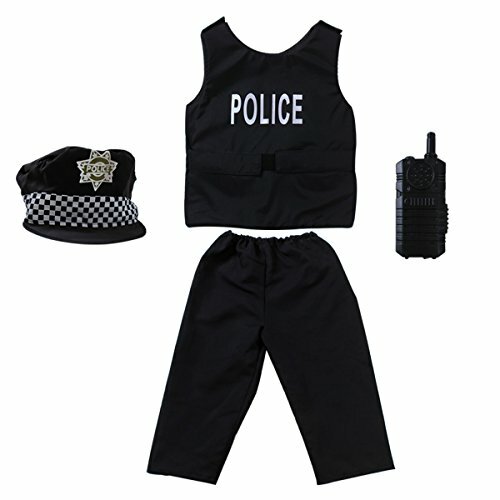 These cool and fun clothes and accessories will make your kids more enjoyable in their role play. 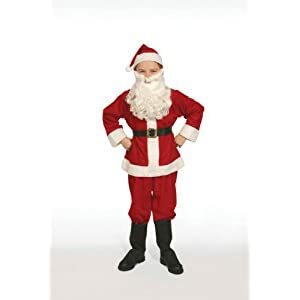 4 pretend play which is your kids could change the different role to match th e party theme; This cool dress up trunk prefect for Christmas pageant, Halloween costume, birthday and theme party. ★ Velcro closure,easy to put on and put off. & Easy to clean up. 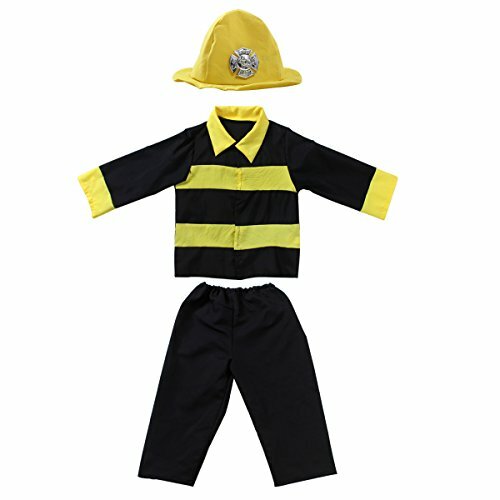 These boy clothes have Velcro closure which is easy to put on and put off. 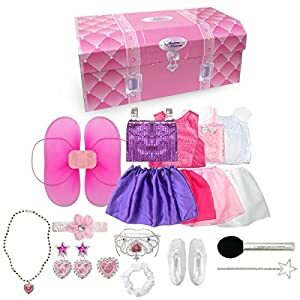 Dimensions of this cool dress up trunk. 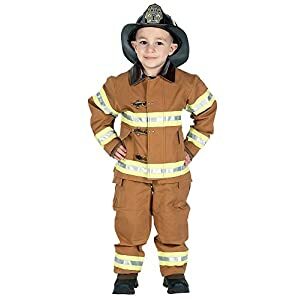 One size suitable for ages 3-6. ★ 1 Boy’s Costume Dress up Trunk. 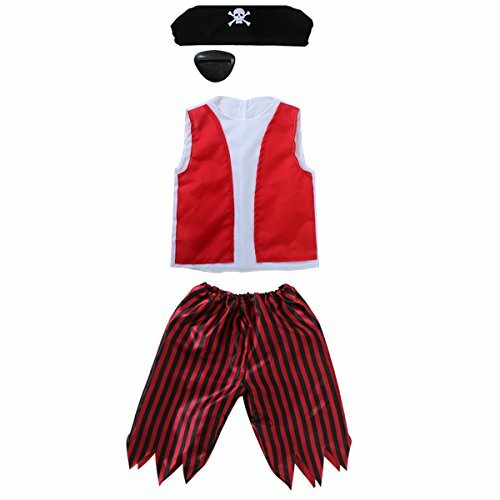 ★ Advantages– 4 cool role play costume which is your kid could change different role to match the party theme. 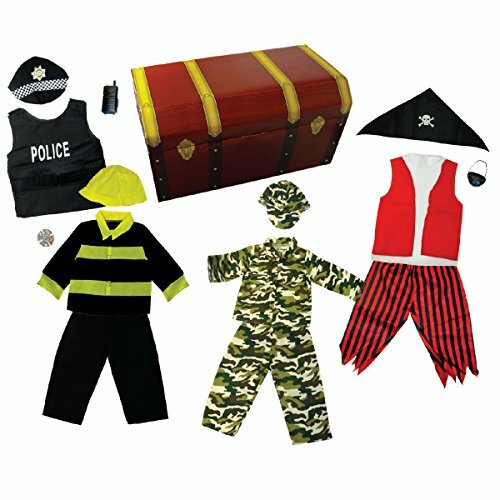 & This cool dress up trunk include 14Pcs: Pirate(Bandana, Eye-patch, Vest and Pants ); Policeman(Hat, vest, and walkie talkie); Fireman(Hat, Jacket, Pants and badge); Soldier(Hat, Jacket and Pants). 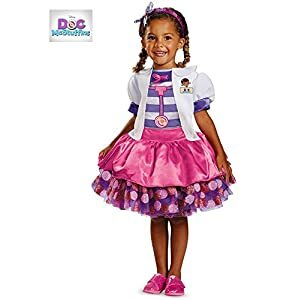 These cool costume and accessories will make your kids more enjoyable his role play. 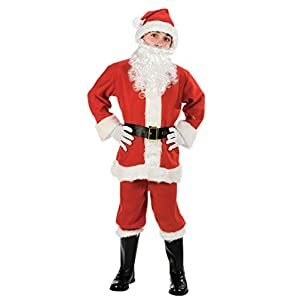 & This 4 role play costume prefect for Christmas pageant, Halloween costume, birthday and theme parties. 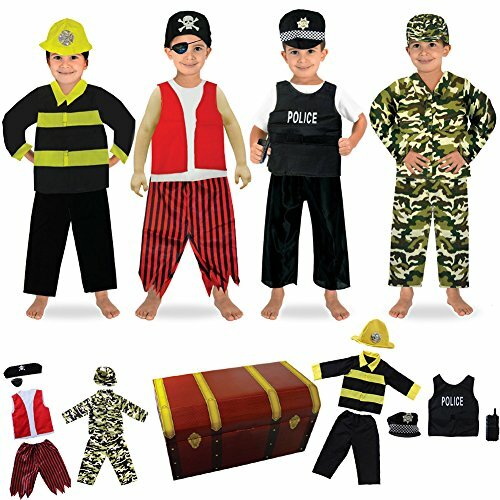 Be the first to review “14PCS Boys Role Play Dress up Trunk Costume Set for Children (Pirate, Policeman, Fireman, Soldier)” Click here to cancel reply.